Nice post! Darnit though. It made me hungry. Forgot to eat lunch today. Beans are my go-to food item. I don’t eat much meat and I love the flavors that beans take on. 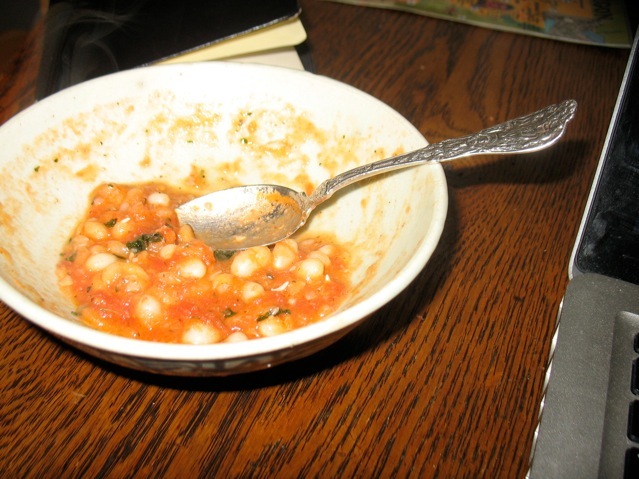 Once I got into the habit of remembering to throw beans in a bowl of water the night before I wanted soup, I cooked with them more. I love white beans. I especially l like the really small navy beans. I make a minestrone soup often with those and kale and other veg. But I also do a simple white one with lots of good olive oil and some herbs (no tomato). I puree half the batch. One tip that I think makes a difference that I came across in Cooks Illustrated was to cook the beans halfway in a separate pot from the veggies so the veggies don’t overcook. Have you heard about that? It also seems to make the soup cook way faster. I imagine you miss out on some of the bean liquid flavoring the soup. But I’m not sure I’d notice. I love making white bean dip instead of hummos and when I’ve bothered with beans from scratch it’s amazing how different the flavor is. Better, that is. I love making beans. I recently made a spicy tasty borracho beans with adobo and beer. I have a soft spot for classic baked beans, so I often make them for that, no canned baked beans needed, just navy beans. 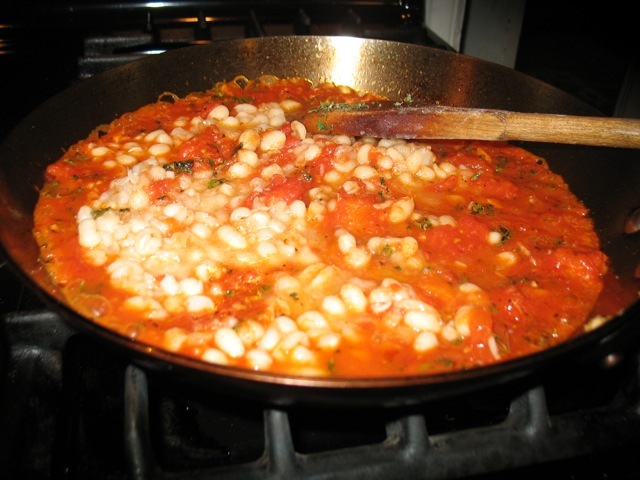 I recently made pinto beans and they never softened up: it can be a challenge to get the temp set just right on the stove so that they simmer but not hard boil. But I think perhaps these beans might have been old. 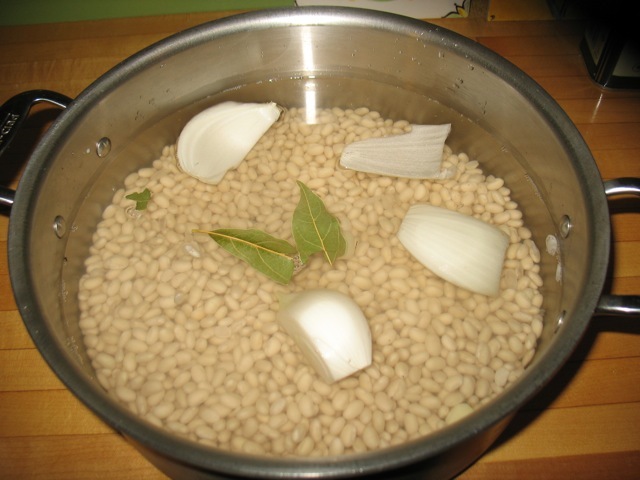 I’ve been curious about making beans in a slowcooker and if it’s easy and dependable. Did anyone see the article in the Oregonian this week about BPA in the lining of canned beans? Another reason to cook them at home. We eat beans a few times a week, and have been enjoying the variety and flavor of beans from Viridian Farms at the downtown Farmer’s Market. glad this was useful. And yes, there will be more. 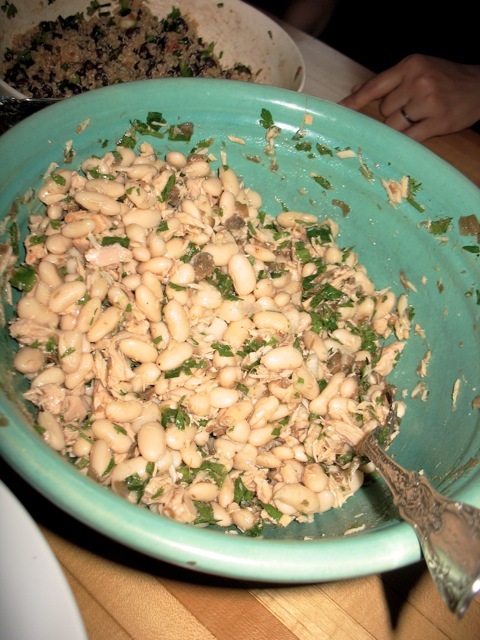 I love cooking dry beans and using them in a host of different ways. And freezing them is so convenient and tasty. Just wondering your method of freezing the beans-do you put them in glass or BPA free plastic bags? Also wondering how much liquid to put in. Hi Jill, I actually typically freeze them in old Nancy’s (or other) one-quart yogurt containers. I’m not 100% sure if they are BPA free but I reason that since I always wait for the beans to be cold before adding them and they only are in the freezer for a couple of months at most that the risk, if any, is minimal. I may be kidding myself here and if you have more info on this please share! I sometimes use quart glass jars but not very often. As to the amount of liquid, I scoop out the beans with a slotted spoon and fill my containers and then ladle over enough liquid to cover the beans. That way I have plenty for a soup or to thin out spreads or purees.